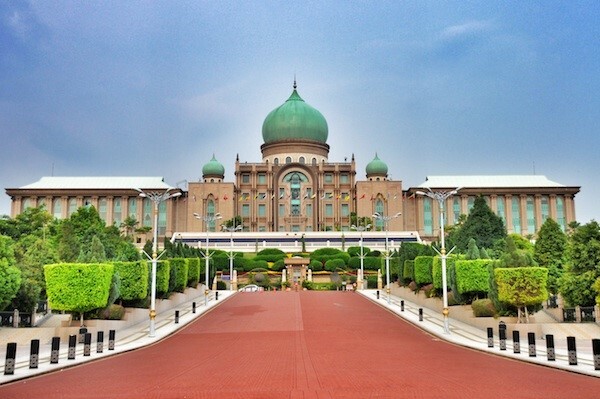 Putrajaya is the official federal territory of Malaysia. It was named after the first prime minister of Malaysia, Tunku Abdul Rahman Putra Al-Haj. This planned city was once a oil palm estate which was redeveloped into what is today, a good blend of both skyscrapers and greenery. Good blend of both skyscrapers and nature. 30 minutes drive away from KLIA. Facing the Putra Lake, the Putra Mosque is a distinct landmark in Putrajaya. It makes for a scenic landscape for fellow photographers that fancy scenic views. Like most parts of Putrajaya the Putra Mosque reflects the Islamic influence on its architecture, creatively mixed with local craftsmanship and other traditional materials. The Putra Perdana Park stand between the natural side of Putrajaya in the north and the government and commercialised Putrajaya in the east and south respectively. Since this park is situated at one of the highest grounds in the city, tourists will have a great panoramic view of the whole city. Bus travels to and from Putrajaya to many other cities has never been easier. There are several bus services at convenient timings from Putrajaya that are available for booking online on Catchthatbus or via mobile app which can be downloaded for free on Google Play or App Store.